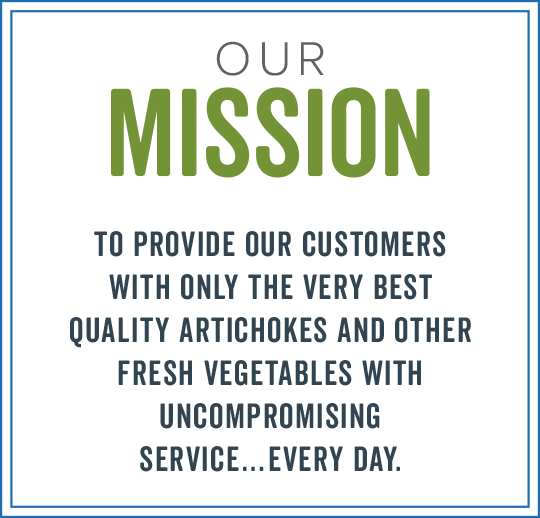 Headquartered in Castroville, California, Ocean Mist Farms is the largest grower of fresh artichokes in the United States. Farming year-round in three ideal California growing regions: Castroville, Oxnard and Coachella – plus Baja, California - each area is known for fertile ground and productive microclimates. Castroville is, in fact, known as "The Artichoke Capital of the World" and is the original home of the annual Castroville Artichoke Food & Wine Festival. 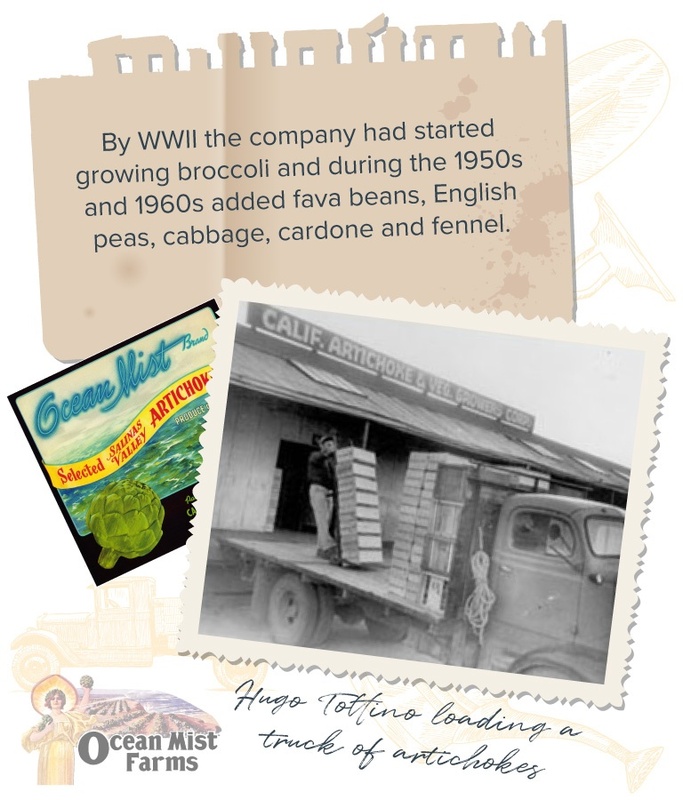 In addition to artichokes, Ocean Mist Farms grows a full line of premium, fresh vegetables year-round in multiple growing regions throughout California (Castroville, Huron, Oxnard, Coachella and Imperial Valley), Arizona (Yuma) and Mexico. 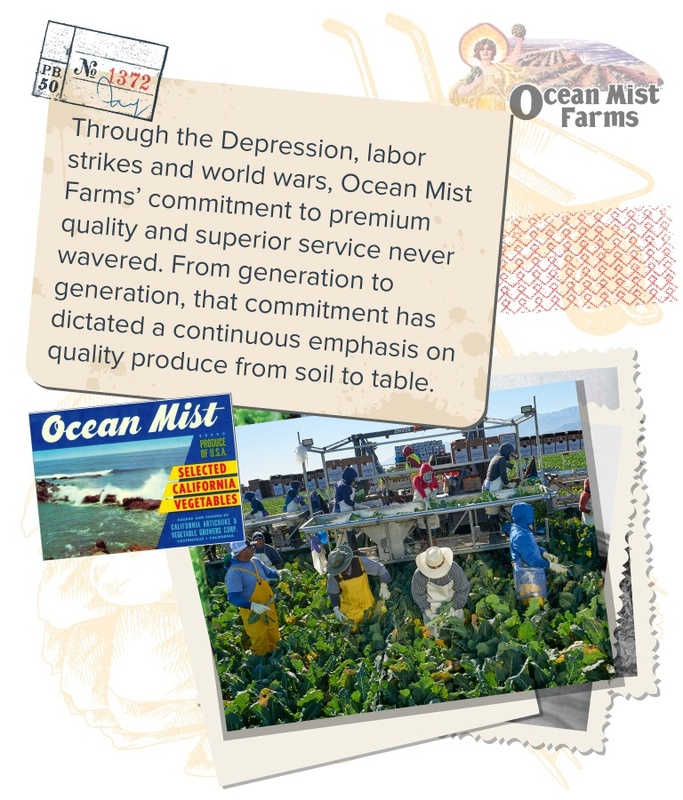 Our fresh produce is grown using both organic and conventional methods and can be found in fine grocery stores in either the Ocean Mist Organic or Ocean Mist Farms brand. 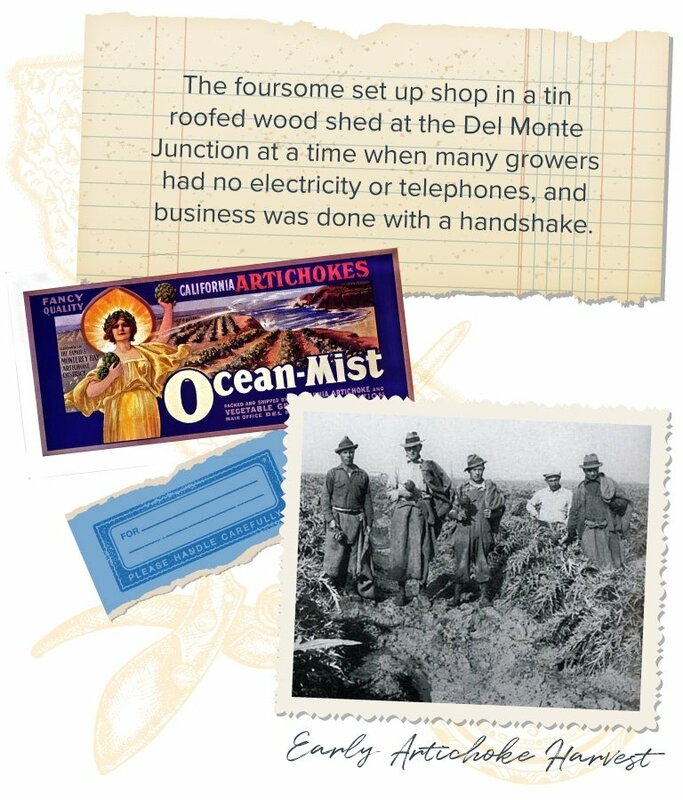 Ocean Mist Farms' family farming roots took hold more than 90-years ago when Daniel Pieri and cousins Amerigo and Angelo Del Chiaros launched the California Artichoke & Vegetable Growers Corporation in 1924. Together, they leased land south of Castroville and soon Alfred Tottino, a local vegetable grower, joined the three men in their new business venture. 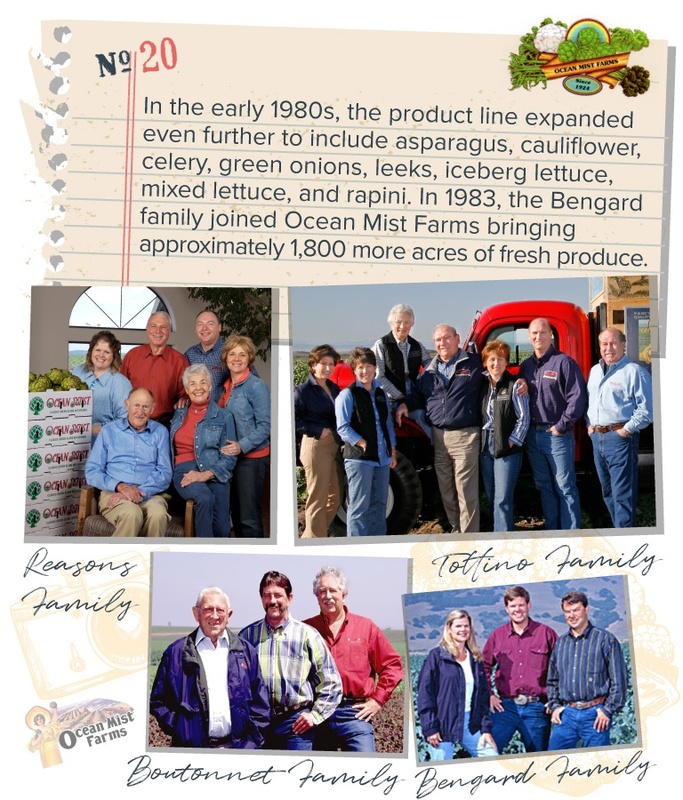 Together, these families have led Ocean Mist Farms to become the largest grower of fresh artichokes in the U.S. Today, they grow artichokes plus 30 other fresh vegetables including Ocean Mist Organic and the award winning Season & Steam lines. The outstanding quality of our products and the tremendous success of our company comes down to one factor - our people. 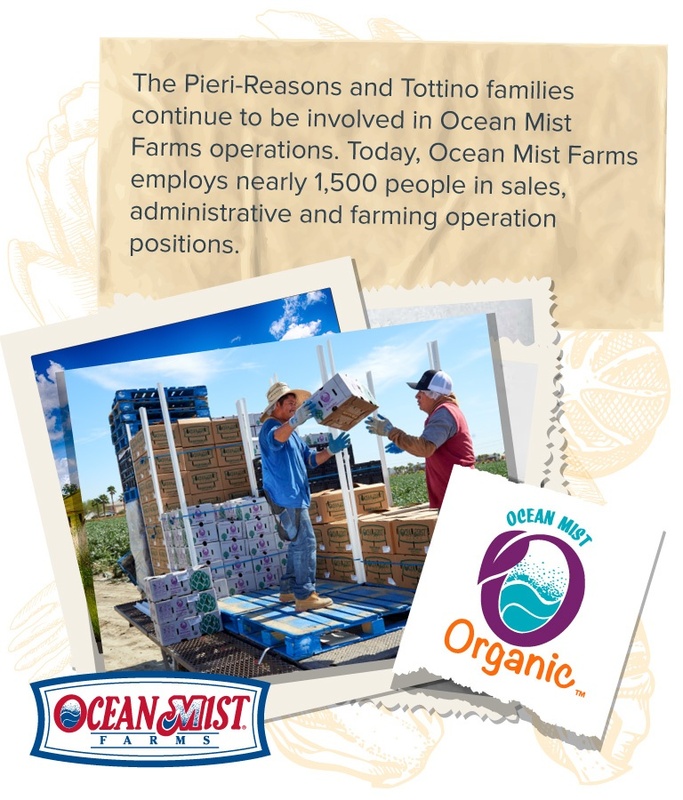 Ocean Mist Farms employees exemplify consistent hard work and dedication to our guiding values every day - Integrity, Quality, Passion and Success.